Since September 2018, terrorist Anders Breivik's manifesto has been on sale at the online bookstore Adlibris, Scandinavia's largest, Norwegian broadcaster NRK reported. Shortly after the broadcaster contacted the bookstore, the book disappeared from its offerings. "The fact that the book has been out for sale is horrible," Adlibris Nordic sales manager Sakari Luovio told the broadcaster. The self-publishing website Lulu.com was listed as the publisher of Breivik's manifesto. At the page, anyone can register to publish books. According to an Adlibris sales manager, the titles are then automatically added to the bookstore's webpage. This means that virtually any book from self-publishing sites can end up in the webstore, implying a lack of control. "As a rule, we read the incoming titles. Of course, we cannot control all 15 million titles, but we actively remove them", Luovio explained. However, he couldn't assure that the situation won't happen again. "We have no algorithm in place that can stop such self-publishing pages. We can only remove the titles post factum when we become aware of them," Sakari Luovio explained. William Nygaard, former publisher and current chair of the Norwegian Pen, welcomed the decision to remove the manifesto as wise and thought-out. "The manifesto has been referenced by the recent assassin. It can be perceived as an offensive document that one should successfully and wisely remove", Nygaard said. At the same time, Nygaard emphasised that totally purging the manifesto would be a form of self-censorship. "It's important to have it available. For us to know, for us to learn, to understand and to distance ourselves from it", he explained. READ MORE: Who Are the People Whose Names New Zealand Mosque Shooter Scrawled on His Gun? Last week, 28-year-old Australian man Brenton Tarrant opened fire at two mosques in Christchurch, New Zealand, killing 50 and injuring dozens more. 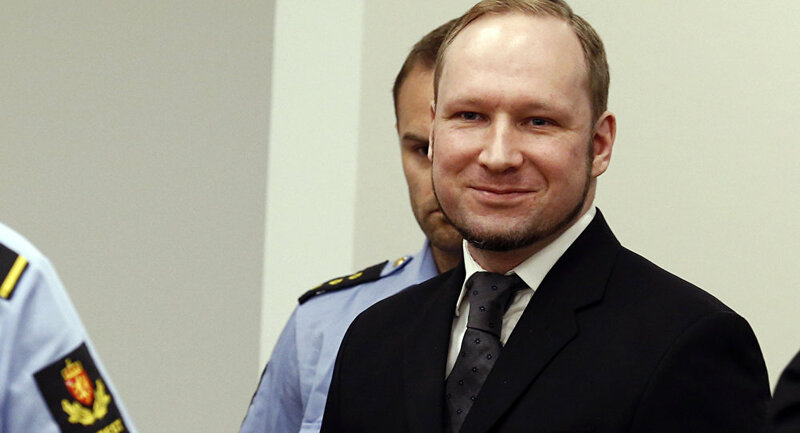 The gunman published a lengthy manifesto prior to the shooting which referenced Anders Breivik's opus. There, he described himself as an eco-fascist and claimed that mass immigration results in the replacement of white people. In 2011, Anders Behring Breivik, the deadliest mass murderer in Norway's history, performed a dual attack against Oslo's government quarter and the Labour Youth Camp on Utøya Island, leaving 77 people dead and over 150 wounded. Before the attacks, he distributed a collection of texts titled "2083: A European Declaration of Independence", blaming feminism for the "cultural suicide of Europe", stating his opposition to Islam and calling for the deportation of all Muslims from Europe. Brevik was sentenced to a "life imprisonment" of 21 years. In prison, he has switched name to Fjotolf Hansen and disavowed his 'fascist, national socialist and ethno-nationalist' ideology". Luovio claimed that not a single book has been sold, but the income would have been given away to charities anyway, he stressed. READ MORE: Worst Killer in Norwegian History Breivik Claims He Has Remorse — Or Has He?